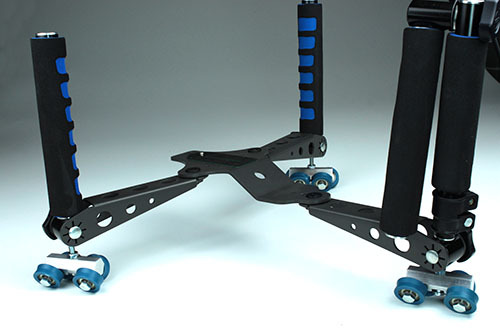 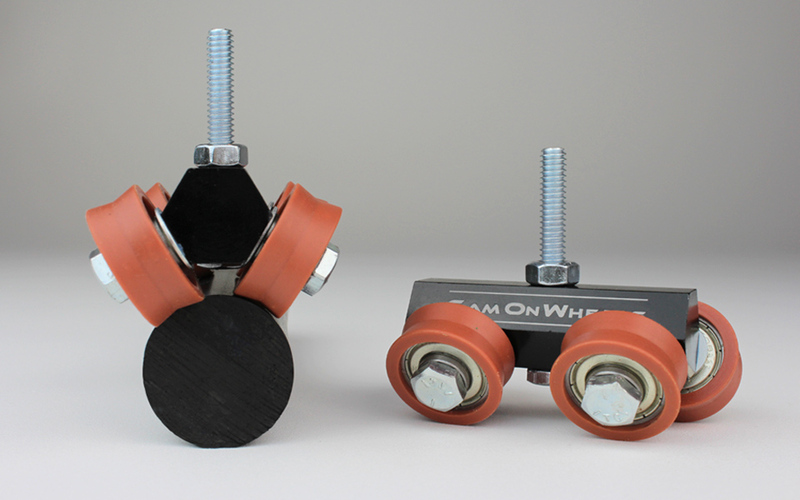 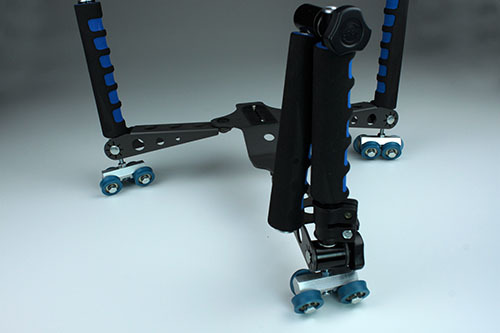 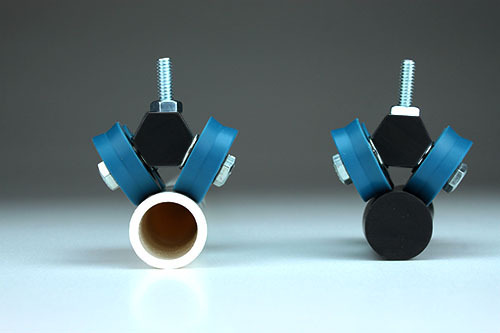 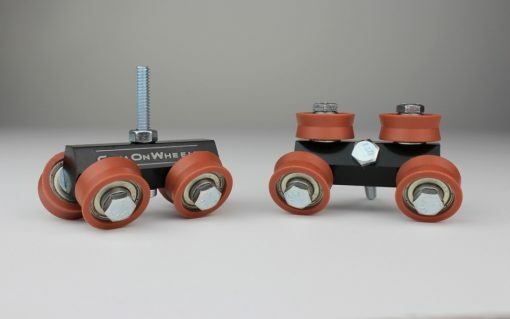 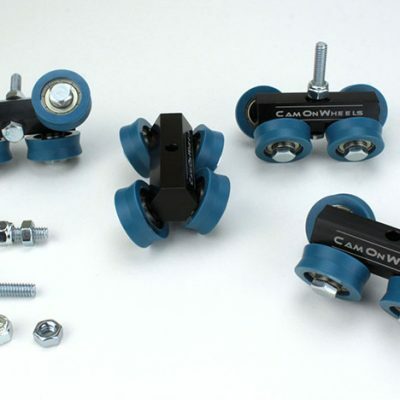 They can be easily mounted onto a tripod dolly, shoulder rig or even directly to a tripod. 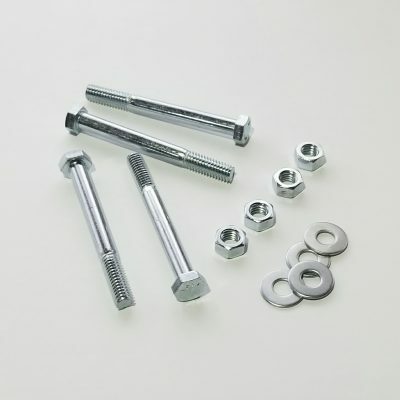 The screw in the center is 1/4-20. 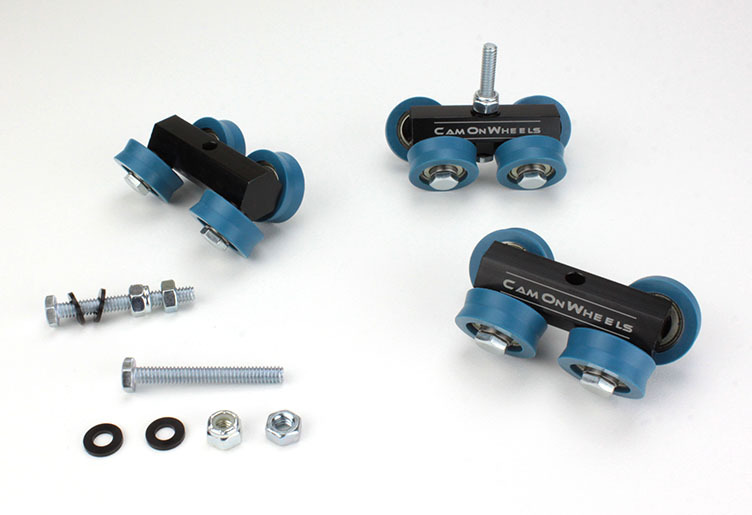 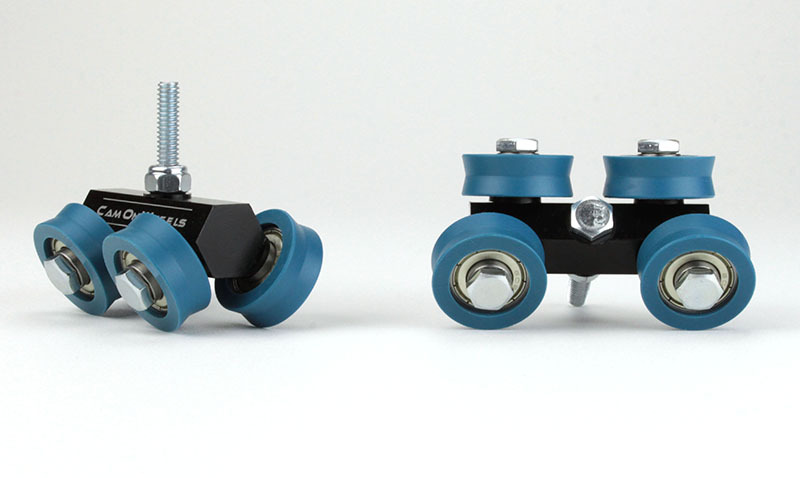 If you need a different size screw for a tripod dolly, let us know and we’ll get you what you need. 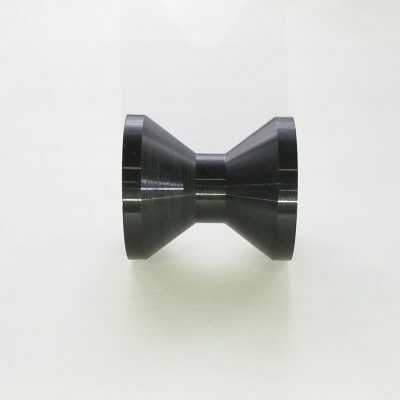 These also come in a set of 4.